That was one wet, cold race. 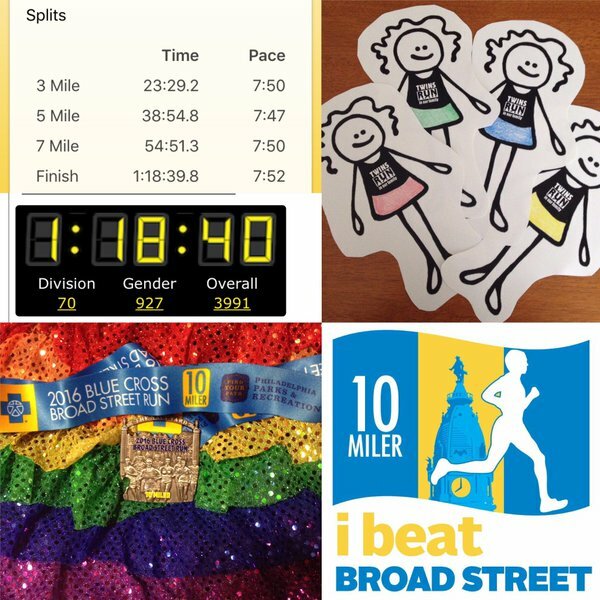 Did you beat Broad Street? Did you cheer or volunteer? Share your story or recap in the comments and we'll add to our post! Gasp! Could I like running? This was my first race since my 5ks in high school cross country (10 years ago). After high school I gained a bit of weight and worked a desk job. I took advantage of the free donuts and celebratory pizzas one too many times. Anyway, March 2015 I finally decided to change myself. I started tracking my food and joined the gym. The first day I got on the treadmill I couldn't even run a minute! I was so out of shape and winded. Once I could finally run a mile, it was a slow one (for me). A year later here I am 53 lbs down and crushing 10 miles in the rain. I am very proud of my pace/time! Next year I plan on moving up a corral. The beginning was rough trying to get around people. I felt amazing Sunday. I stressed out thinking I couldn't do it or I would be really slow but I amazed myself and currently looking for a half to sign up for! Alex and I ran our second tethered Broad St and beat our previous time by 2 minutes and change. Our time was 1:32:14. 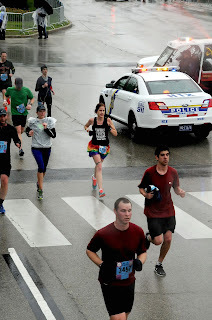 We've never had a rain race together and it caused a lot of anxiety for Alex the first mile. 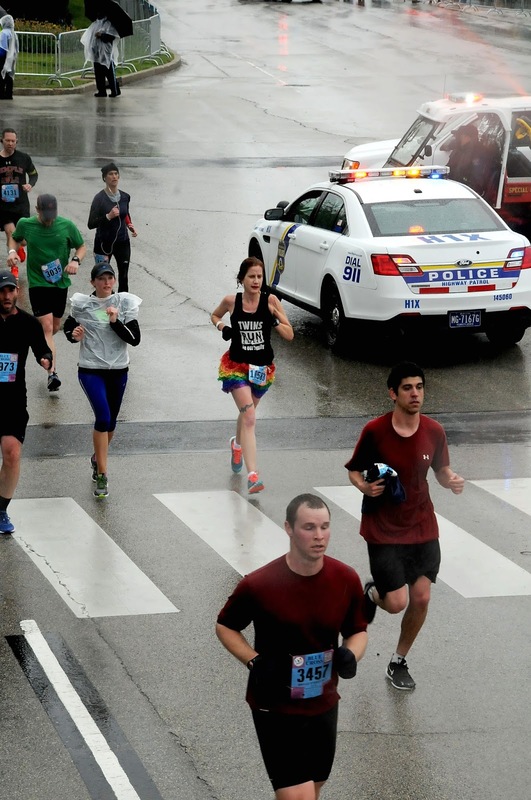 Overall though, great race with so many great spectators and volunteers in spite of the weather! I had to transfer my bib this year :-( but I had a great time cheering on my husband, and everyone else I knew or just randomly yelled at! This was my first time actually seeing the elites during a race, which was cool. I started watching at Temple (I saw you! Can't miss the skirt!) and then hopped on the subway to get to mile 9 once I saw my honey. I made it with minutes to spare. All in all, spectating is fun but I can't wait to run it again! Thanks for linking to my post! It was an experience like no other! I'm so glad that I ran it this year. Thanks for sharing mine! Such a fun race! !